It’s there in the title and subject matter of her last novel, “There but for the,” about a man invited to a dinner party who locks himself in a bathroom and refuses to leave, becoming a minor celebrity in the process. Which is not to say that “How to Be Both” is merely an exercise in literary trickery. Smith’s technique is bold and experimental, but what makes her work so rare and desirable is that it always contains a moving emotional core. Her novels may stretch stylistic boundaries, but they also compassionately, even tenderly, explore the universal perils of being human. The narrators in “How to Be Both” experience tragedies that link them, both losing their mothers at early ages. “This will be the first year her mother hasn’t been alive since the year her mother was born,” thinks contemporary George, whose grief is bleak and bottomless. “That is so obvious that it is stupid even to think it and yet so terrible that you can’t not think it. Both at once.” Such duality is an ever present theme. Another thing George can’t forget: Her mother’s admiration for Italian painter Francesco del Cossa, whose work they saw together in Italy. One of the artist’s works is in a gallery right there in town. Soon George is skipping school to visit it every day. What she doesn’t know is that the painter’s spirit somehow has attached itself to her. The narrative of Francescho ― the fictional version of the artist adds an h ― starts with a stream-of-consciousness whoosh but settles into a somewhat more traditional format, wandering back through childhood and young adulthood, from days growing up in a bricklayer’s house to painting frescoes at a palazzo in Ferrera. In death, Francescho is best known as the single artist who had the courage to ask for higher wages. For whatever purgatory this is, Francescho is sure, it involved death, because no one escapes the inevitable end to the passage of time. Slowly, Smith teases out Francescho’s secret (one presumably not shared with the painter’s real-life counterpart). The revelation almost undoes Francescho’s best friend, a rich boy named Barto: Francescho is a woman (a fact discovered first, in one of the novel’s most amusing scenes, by a delighted prostitute in the local brothel). 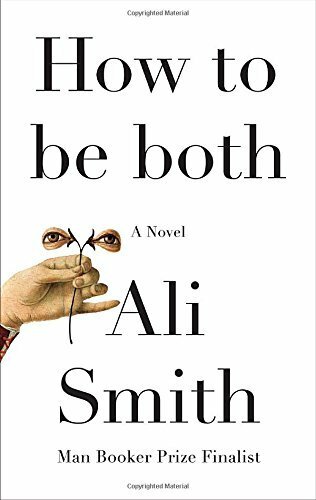 Smith does not leave you feeling cheated, but “How to Be Both” strikes me as the sort of book you could happily read a second time and uncover overlooked truths. In art as finely crafted as this, there’s always more to see, if you look.